When looking for a job that offers social interaction, decent pay, and the opportunity to positively affect the life of children, babysitting is an obvious option. Though many people consider the challenges associated with taking care of small people too overwhelming, there is a special group of individuals who are equipped to handle this calling. That lucky group of people also get to reap the benefits of this job. Here are just a few perks of the babysitting life, and a couple of things to look out for. For those who like to build relationships, babysitting can feel like a calling. No matter what age children you babysit, they all want and need adults in their lives who listen and make them feel heard. Babysitting goes so much further than just making sure no one sets the house on fire. Those who are great at building bonds can positively impact a child’s life for years to come. If you get to babysit for the same family over a long period of time, you may end up building life-long relationships and have the privilege of knowing these kids as adults. Ask any teacher who has seen her students graduate and grow into adults and you’ll find there is not much better than seeing that transition and getting to be a part of it. Plus, you may see the positive encouragement you gave that child help them soar later in life. Babysitters spend the day playing. For a job outside of the cubicle, look no further than babysitting. As opposed to sitting at a desk all day, babysitters can play Legos, dress up dolls, and dominate at Checkers. There’s also the joy of tea parties instead of just boring cafeteria lunches. One pitfall to be aware of is the socialization issue. Yes, babysitters socialize all day long, but they are surrounded by kids. Children are sweet, fun, and brutally honest, but every adult needs time with other adults during the day. When you leave the babysitting gig, make sure you have friends who can offer stimulating conversation about something besides My Little Ponies. Babysitters know CPR and the Heimlich maneuver. To truly be qualified to babysit, you need to be prepared for emergencies. It's essential to learn CPR and the Heimlich maneuver before seeking a babysitting job. Hopefully, you’ll never have to use these skills, but once you know them, you can help anyone you come across who needs assistance. Lives have been saved because someone took a CPR course and sprang into action at the right time. These skills also look great on a resume. They show you took the initiative in order to aid those in society who may need you, and no employer can help but appreciate that. Babysitting will boost your resume. Not bad, right? Plus, if you’re babysitting older kids who need help with homework, you can add that you help build academic skills. Babysitting prepares young adults for the real world by allowing them to work a job that isn’t micromanaged, even though it is extremely important. Babysitters have to be trustworthy and self-motivated, two important skills for success in life. Of course, there is the cash. Good babysitters are not easy to find, and parents will pay for people they trust. Though rates have to be reasonable for the location and the demands of the particular job required, a babysitter can easily make over minimum wage, and as his or her reputation grows, so does the salary. 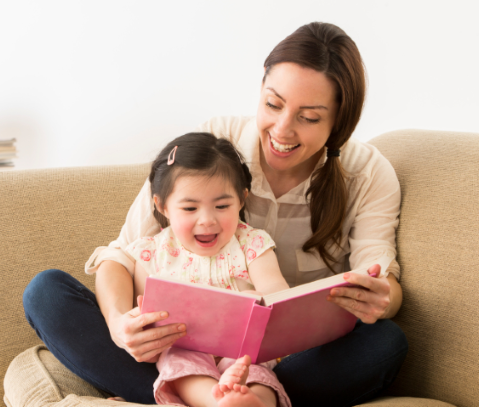 Many babysitters find more jobs through referrals or websites like Find a Nanny. If one of their clients is happy, they will spread the word so more job offers will pour in. Of course, there are downsides to any job, and it’s hard to get attached to children and then have to move on. Due to life changes, there’s no way you can babysit for one family forever, and it’s often not easy to let go when relationships have been built. However, this is another part of life, and it is possible to stay in touch even when employment with a family is over. If you want a job that is never boring, offers competitive pay, and allows you the opportunity to see babies yawn and coo, babysitting or infant care in Singapore just might be the right fit. There is always a need for trustworthy individuals to help grow the young minds of children. Should I place my child in a child care centre? Or would it be better to have a helper look after her at home? New parents usually agonise over this decision as their precious baby transitions into a toddler and then into childhood. It can be a tough decision. Child care centres can take a load of work from the mother's shoulders and because we are fortunate enough in this country to be able to hire domestic helpers relatively inexpensively, it is quite possible to have the child escorted to and from a centre, fed, bathed and put to bed each day with minimum parental involvement. Many mothers however will make the decision to suspend their careers for those early formative years to have as much positive impact on their child as possible. It is important for a parent to spend individual quality time with their children as it lays the foundation for a solid parent-child relationship which will pay dividends in later years. What are the benefits of using a child care centre? Child care centres provide a safe and supervised place where children can learn how to socialise with other children and adults. They will pick up valuable skills early on which will reduce some of the stress when it comes time to start primary school. A good paly school will have a professionally developed curriculum which will guide and encourage your child to develop physically, intellectually, emotionally and socially. Alternatively, a well-trained and experienced nanny will be able to provide many of the benefits of a childcare centre but within the familiar home environment. Transfer maids were - not too many years ago - regarded as a rather poor choice for employers who looking for a suitable maid for their family. However, the situation has changed somewhat and now many prefer to employ a transfer maid - if they can find one. What caused this turn-around? Employers prefer transfer maids as they can start working for them in a matter of days, compared to the 10 weeks or more that it takes to acquire a new maid from Indonesia or the Philippines. The agency fees for transfer domestic helpers are considerably reduced to around $700 to $800, compared with more than $2,000 for a new maid. Often, employers will do all the transfer documentation themselves, saving themselves from paying any transfer fees at all. Some agents who specialise in these transfer maids told have said that they have seen a 30 per cent to 50 per cent increase in business in the past five months. Many employers had the impression that in their previous positions, transfer maids must have had problems with their bosses and possibly would have difficulty integrating into the new family. But because the wait for a new maid is now so long, employers feel they don't have much of a choice but to opt for a transfer maid. Many have been pleased with the outcome. A friend, who hired a transfer maid four months ago, agreed, noting that with a new maid she would have to start from the very beginning. "They are fresh out of their village or kampong," she said. "Although they now have had some very basic training in their home country, it hardly prepares them for the culture shock of living and working with a Singaporean family. Many have very little knowledge about modern kitchen appliances or even living in an apartment." "Transfer maids, on the other hand, have been working here for at least a year-or-two, if not more, so they require less supervision and training." And they have gotten used to the culture here as well as learned to manage their home-sickness. "Further more, before employing them it is usually possible to speak to their previous employers, who are usually forthright and honest in their appraisal of their previous maid's performance and character. One maid from Myanmar, who registered on Find a Nanny, found an employer who offered to pay her $600 a month - $100 more than the average salary. Her employer also gives her a day off every Sunday. "I am an experienced domestic helper and speak good English, I was confident I would find an employer on this nanny website," she said. She has been working in Singapore for four years and wants to keep working here for at least another four. A few years ago, new maids would arrive in Singapore about one month after they were recruited. But the whole process has become more drawn-out because of stricter rules that were imposed by the Indonesian and Philippine governments around the end of last year. 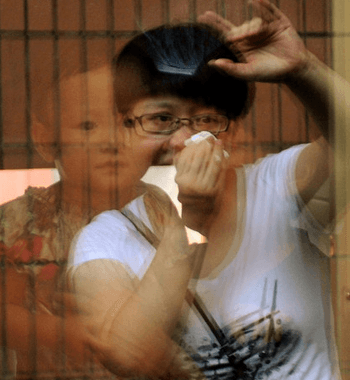 Most of the more than 222,500 domestic workers in Singapore are from these two countries. Officials from Indonesia and the Philippines want to ensure that maids are not paying high recruitment fees and will receive at least the minimum wage imposed by their governments. The Indonesian government wants its domestic workers to be paid at least $500 a month and recently stated that all Indonesian maids should live-out, rather than with their employers. The Philippine government states that Filipino maids have to be paid at least US$400 (S$540) every month. Quick to take advantage of this sudden demand, hundreds of would-be transfer maids are making their way to the Far East Shopping Centre and Lucky Plaza in Orchard Road every Sunday, as many transfer maid agencies are located there. At Find a Nanny, we have noticed a big increase in transfer maids signing-up in the hope of quickly finding a new family to work for. This is an interesting trend, it is also good for the domestic help industry in general. Employers now are looking for more competency and experience in their helpers and are prepared to pay more in return. Many transfer maids are at the end of their two-year contracts. They can work for new bosses if their previous employers sign a Ministry of Manpower consent form. Should they fight for their right or remain in adherence to the present rules? This is the question that has been whispered and circulated around for a while now. And there has been a constant debate whether maids should even be allowed to live out or in. No matter what side you are on, a little bit of a discussion is always help to make the best conclusion. A recent announcement had been released by the Indonesian government saying that it wants its maids to separately live from their employers. Not only that, it also states that they should work on regular hours, enjoy days off, public holidays and even overtime. It seems to be fighting for the rights of their maids and not everyone especially the employers are very pleased with it. Indonesia is Singapore’s largest source of foreign domestic workers. That is why, every decision that the Indonesian government makes on this matter will greatly affect the outsourcing country. The very reason why Singapore disagrees with what the Indonesian government is pushing for is the fact that they see it illegal to allow a foreign domestic worker to live outside of their workplace. They have a couple of reasons, to their defense, why they do not allow it. They find it risky and a threat to their safety. They want to be able to oversee everything that these maids do and feel that they are in control of everything. It’s almost as if they want to have a surveillance camera attached to each of them so that they are sure that they are not a threat to their well-being. While some of these reasons are acceptable, are they not also too much to the point of disregarding the well-being of these maids? Think about it. If we focus on the “what ifs” that lie behind the reason why they don’t allow maids to live outside of their workplace, there is a tendency for paranoia. However, if we take a step back and look at the bigger picture, there could also be great benefits that come with allowing them to live out. Maintaining privacy is a big deal for employers and their families. If privacy is something that you want to keep intact, then it is all the more reasonable for them to allow their maids to live outside of their home. There is not a point in “binding them into a chain” if they are not even working on those days or hours. If their service is not needed as often as 24/7, then they need not to be around all the time. And in most cases, this will also allow the live-out maid to destress and relax as they need it to perform better in their service. Anyone who is overworked or unable to relax will not be able to give out their best in their job. If you are an employer who also values quality service, then you must allow them to have the freedom they deserve and need to have in order to achieve your expectations. There is a sad truth to this matter. Maids are looked down upon by so many of us. We all have the tendency to do so just because they didn’t get a degree first in order to get that kind of a job. It’s something that the flawed society has injected into our minds, making us think something we should avoid setting as a mindset. And sadly, this is one of the many reasons why it’s so hard for maid employers to give them their full rights and the best that they deserve. Even if verbally they don’t claim that it is, their actions speak so loud, that they think of this as a master-servant setup kind of a relationship. A master is superior and does whatever they want without giving any regard to how the servant feels. The servant is a low-class human that they can just treat however they want and that’s all that matters. Same is true with how these Indonesian maids are being treated with the current rules and regulations. There is little to no concern as to how these would affect them and if it would even give them something better like what they deserve. It is true that they must adhere to the rules given to them by the government and their employers. And as far as my observation is concerned, they quietly and simply follow them. However, for the employers, if they really want them to last they also must be fair in treating them. They should think about how hard it is to find helpers who are able to do the tasks that they need them to do. And it’s even much harder to find someone who isn’t only skilled but also trustworthy. So when you find someone who is, you would not want to let that person go. Of course you always have the option to shun away those who don’t do their job well but chances are also an option to give until it becomes too much. What I’m just really trying to point out here is this: maids should have the privileges and opportunities that they should have. They work as hard as everyone else and we need them as much as they need us or maybe even more. If we only think of them as an employee who does things that will bring us great advantages in our household or whatever else we need done, then this perspective won’t stay the same. Also, the Indonesian government must work hard to look into these things and create fair and just rules so that boundaries are set well. But even without these things, there are employers who have the option to give their maids the best treatment possible that is only right for them. If there is a request for them to live out, then give it to them. You always hold the decision how you would want to act in the first place. If you want to be the employer that a maid would love to continually serve, you have all the power to be that person. This article was contributed by Kriztina, who likes to write articles on religion and social issues. 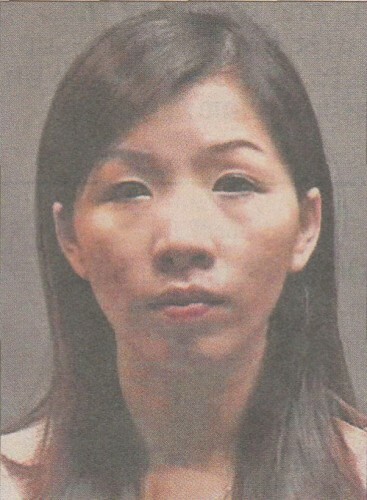 Wong Pui Kwan was quick to turn violent every time one of her two maids made what she considered to be a mistake. She also cut their salaries, their hair and pulled down her shorts and underwear to humiliate them in front of their laughing children. Wong, who is 27 and a former property agent was jailed for a year after a two-month campaign of violence against her two foreign domestic helpers, one from the Philippines and one from Myanmar, both of whom ran away to seek help as a result of her terrible treatment. The Filipina, Analyn Almoite Rinonos suffered severe depression and returned home to the Philippines. Wong would lose her temper suddenly and often for no apparent reason. At other times her temper was triggered by really trivial actions such as forgetting to switch a light off. One night Ms Rinonos was preparing to shower Wong's children when Wong caned her. Another night after hearing her daughters cry she woke up Ms Rinonos told her to go to the kitchen toilet and then splashed oil over her and demanded that she sleep on the balcony. Another time she hit her on the head twice with a plastic container with so much force that it broke the container. She force-ably cut the maids hair and threw a child's chair at her. This despicable woman is now spending one year in jail. Let's hope she learns some anger management techniques while she is there. Do you ever look at the rows and rows of apartments and wonder what is going on behind all those closed doors? Sometimes it's not good. A seriously dysfunctional family has been brought into the limelight with the prosecution of Noraini Hassan and her husband Muhamad Al-Hafiz Nordin. 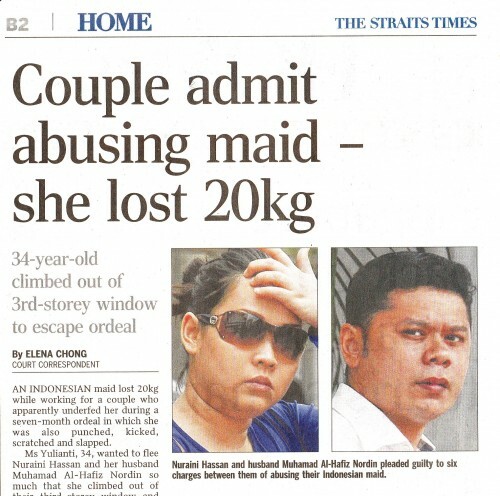 They treated their Indonesian maid abominably by repeatedly punching, kicking, scratching and slapping her. They also virtually starved her, causing the 34 year old's weight to drop by 20 kg in just seven months. Her typical working hours were from 6 am to 10 pm everyday and involved doing household chores as well as looking after the couple's two year old daughter. The reasons for the punching kicking scratching and starvation? Once she forgot to iron Nuraini's dress, another time her hair dropped on the floor as she was sweeping it. She took 4 slices of beard one morning at 5 am and reported it to Noraini (to loose 20 kg she must have been on the verge of starving the whole time she was there). on another occasion Al-Hafiz hit her on the head twice, leaving her giddy and in considerable pain for not cleaning the baby milk bottle steamer - even though his dear wife had instructed her to not clean it. I hope this despicable couple end up in jail where they can spend some time contemplating how other human beings ought to be treated. With any luck they'll get the chance to mop some floors while under the harsh supervision of a prison guard. Often times we hear about nannies being abused all over the world. On the other hand, we also often hear about parents complaining about their nannies bad behaviour. It has even become so common that when we hear a fresh story of the same theme, our subconscious mind seems to think that it’s expected. No matter how much of a common thing it is for us to hear about such stories, we can never conclude that it will always stay that way. Still, there are some rare stories that need to be put out there to change the mentality that we have become accustomed to. One of the most heart-moving true-to-life stories about nannies these days is a story about a Filipina nanny who worked for a family in Singapore. Teresita, a woman from Ilo-ilo, Philippines used to work for a Singaporean family back in the early 1990’s. She spent 8 years working for the family but had to leave for health reasons. The experience that she had with them was priceless for her. She carried their photos and graphic memories of them being together even years from the time she left. Teresita, called as “Auntie Terry” by the family, spent a vacation with the family during the time she was still working for them. She shared a very memorable time of those days where she visited a wishing well and gave her heartfelt wishes for the family. According to her, she wished that her wards will grow up not forgetting about her and that they would be successful and decent men in the future. For her, it was simply an expression of her love for the family and the kind of relationship she had with them not knowing that it will surely come true. After a couple of decades, an unexpected blessing came and paved the way to making her wish come to life. During the 2013 Cannes, an Ilo-Ilo film that received an international appreciation and won the Camera d’Or prize brought Teresita or “Auntie Terry” into a great and emotional reunion with her very loved wards. Anthony Chen, who was one of the three boys in the family that she used to work for as a domestic helper, featured it as his debut film. With the cooperation of Cebu-based public relations agency Selrahco PR, a bridge was created for Teresita to meet with Anthony Chen and his youngest brother Christopher. It was a challenge to find Teresita at first because of the fact that they only knew her first and last name but with the great support of these people given to her, she was easily found. Chen and his youngest brother flew all the way to Ilo-ilo to reunite with Teresita after 16 years of not seeing each other. It was an emotional reunion that moved the heart of not only them who were involved but of every person who have watched the movie and witnessed this one-of-a-kind bond that existed between them. 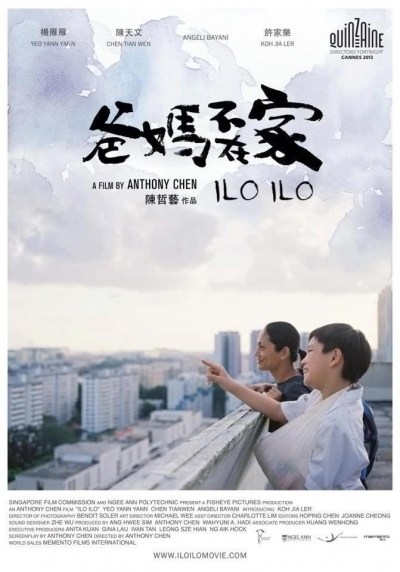 Ilo-ilo, the title of the film, is now shown in Singaporean cinemas as it was scheduled on the later part of this month. Teresita will also be attending the premier screening with the boys thanks to the help of a popular low-cost airline in the Philippines known as Cebu Pacific. This will be the first time for the Filipino nanny to travel overseas again after 16 years since she departed from Singapore. Truly her wonderful and heart-moving story has shown the kind of selflessness and genuine love that Filipinos have for others. Filipinos are known to value relationships highly and Auntie Terry is just one of the many examples who show that to the rest of the world. For parents and the child, beginning child care can be both an exciting and emotional time. It is therefore important that a childminder provides helpful and effective tips to make the experience less emotionally stressful. There have been a lot of teary-eyed goodbyes when parents have to leave to go to work and need to send their child behind with a babysitter. This can be a very painful experience especially if it is the first time that the parents and the child are separated from each other. In order to make goodbye less heart-wrenching, often parents try sneaking out while their child is not looking, or busy playing with other children. This is absolutely not recommended because it can impact the development of the child. At the same time, the child will think that the parents abandoned him or her. The child will also think that his or her parents used deception. While the child is still settling-in, it is always best to encourage parents to say goodbye short and simple. It does not have to be grand, long and dramatic. As a matter of fact, it should not be long so not to give a painful separation a chance. Transitioning into a new child care setting, encourage the parents that they need to make sure that they have extra time at drop off. It is advisable that they do the morning drop offs especially if the child is not accustomed to the new routine. This will definitely help the child settle-in and be at ease with the new environment. This will also help the parents establish the need to create a goodbye routine. Whether parents like or not, you should encourage them to always say goodbye. 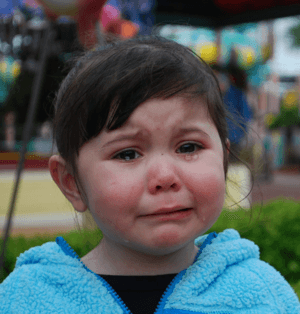 This can be a daunting task especially if parents know that their child will start crying if they say goodbye and prefer to leave the setting when they see their child is not looking or the child is already engrossed with the activity he or she is doing. It is important to establish trust. A childminder should encourage parents to build trust with their child when saying goodbye. It is not good that the child does not know that his or her parents have already left the room. Give the child the opportunity to know that his or her parents are going. It is the child’s right to know it. However, as a childminder, encourage the parents to be kind and direct. Let the parents say to their child why they have to leave. This is teaching the child the importance of honesty. In addition, the child will also think that it is important and has to be done. Let the child feel that the parents will be back to pick him or her up before, say, lunch, or snack time or dinner. When saying goodbye, an open communication plays a very important role as it helps build a trusting relationship between the parents and the child, as well as the childminder and the child. The child will understand that their parents have left leave him or her to a new carer whom they find to be trustworthy. Keeping a child happy can be a daunting task, especially if the child is new to the childminding setting and is missing his or her mummy and daddy. Most children feel sad if their parents are nowhere to be found. Kids who are very dependent to their parents are difficult to handle because they will usually cry the moment their parents leave them. It is therefore important to keep them happy so that they will not miss their parents so much. As a childminder, nanny or babysitter your responsibility is not only to ensure a safety environment for the child, but also to be certain that the child will enjoy his or her stay with you. If you are in need of a nanny or babysitter in Singapore, you almost certainly can find one on in Find a Nanny website. Mothers who need to return to work will need a childminder to take care of their child but children who have been with their mother from birth will definitely have a hard time adjusting to the new face of their care-giver. They typically will break down if they have to be separated from their mother every time their mums leave for work. A childminder has to be ready with this kind of situation in order to convince the child to behave accordingly. It is best to build rapport with the child in order to gain his or her trust. Do not attempt to replace the role of the mother because you will never succeed. You can never take the mother’s place completely. What you can do best is to reassure the child that mummy is at work and will most definitely be back. Offer activities that are appropriate to the child’s age and understanding, but most importantly a nanny, childminder or babysitter should always be there to comfort the child when he or she is upset. So do go to a lot of trouble to ensure you hire a maid or a nanny who understands how the child feels. Children are very sensitive and emotional. It is important that you ensure they feel safe and happy, that their presence is treasured, and that they are loved. Doing this, will help them feel at ease more quickly and your role as a care giver accepted quickly. Encouraging the child in your care to play with other children is important because of the positive benefits it will bring in child development. As a childminder, you should endeavour to join a childminding group and meet up with other minders so that children will have the chance to meet new friends. This can be as simple an arrangement as meeting up at the playground in your estate every second day, for example. Here you can discuss other interesting activities that you can do that would help make the day of the child enjoyable. Set up play dates and visit appropriate places where children can learn new things. Children always love to play and this is one the best ways to let them feel safe, happy, and loved. They absolutely will always look forward to meeting their minders or carers because they will soon learn to enjoy their company. If children are happy, they will not miss their parents quite so quickly, and their mummy and daddy will be at ease while at work. While a childcare professional needs to make ensure that the child is safe and happy, a good nanny should also take into account the parents’ emotional situation. They, too, have to be reassured that their child is in good hands. Let the parents feel that you will take good care of their child.